London: Arsene Wenger has told Arsenal owner Stan Kroenke he will accept the Premier League club's offer of a new two-year contract, according to reports on Tuesday. Wenger met Gunners majority shareholder Kroenke and chief executive Ivan Gazidis on Monday to discuss his future before his contract expires next month. 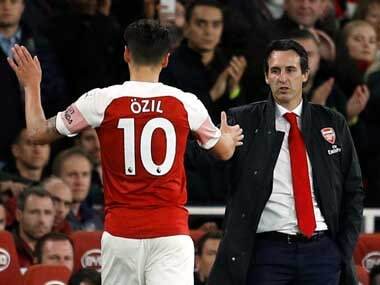 The 67-year-old has been heavily criticised this season, with Arsenal fans calling for his resignation after their team failed to qualify for the Champions League for the first time in 20 years. Suggestions that Arsenal may insist on hiring a director of football to work with Wenger had sparked claims the Frenchman was considering ending his 21-year reign. But after leading Arsenal to an impressive 2-1 FA Cup final victory over Premier League champions Chelsea with Kroenke watching from the stands on Saturday, Wenger had hinted he was willing to stay. And the Daily Mail and Daily Mirror reported Wenger has informed American tycoon Kroenke, who remains a firm supporter of his manager, that he wants to remain in charge of the north London club. A formal announcement of Wenger's new contract is expected to come on Wednesday. "The club are planning to make an announcement on Wednesday afternoon," a spokesman said after refusing to confirm the reports of Wenger's decision. Wenger, who has won three Premier League titles and a record seven FA Cups with the Gunners, will attend an Arsenal board meeting on Tuesday when the contract should be rubber-stamped. Wenger will outline his plans for close-season signings and while there may still be some tinkering with his backroom staff it will not be without his approval. 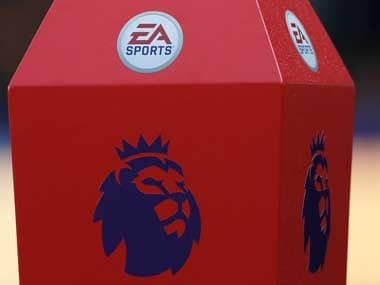 Gazidis would still like to bring in a sporting director to coordinate issues ranging from scouting and medicine to youth development and analytics. But Wenger has been told he will retain control of the key areas of team selection and transfers. 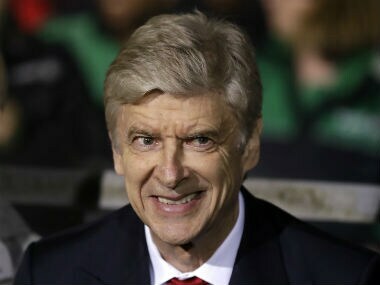 With his reign set to reach 23 years if he sees out the new deal, Wenger has a chance to salvage what was in danger of becoming a tarnished reputation. 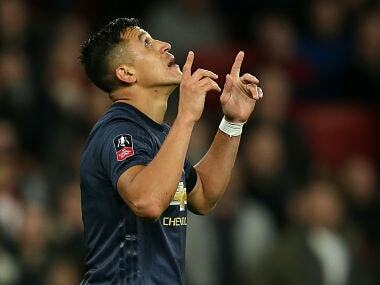 First on his to-do list will be making improved contract offers to Alexis Sanchez and Mesut Ozil. The unsettled Arsenal stars are holding out for weekly wages of around £300,000 ($385,000) per week with their present deals due to expire at the end of next season. With no Champions League football to offer to potential new recruits, Wenger still faces a tough task to win the Premier League for the first time since 2004. Fifth-placed Arsenal finished 18 points behind Chelsea, with embarrassing defeats at Crystal Palace and West Bromwich Albion ruining their chances of staying in the top four. Those losses, combined with a Champions League last 16 thrashing by Bayern Munich, prompted the most sustained fan protests against Wenger in his two-decade reign. Fans staged protest marches, flew planes over Arsenal matches trailing banners calling for Wenger to go and even stayed away in droves when the Gunners faces Sunderland in their penultimate home match. Wenger, who has won the FA Cup three times in the last four years, showed how much the abuse had affected him last week when he spoke to the BBC before the Wembley showdown with Chelsea. "I believe there's a difference between being criticised and being treated in a way that human beings don't deserve," he said. "The lack of respect from some has been a disgrace and I will never accept that. I will never forget it. "The behaviour of some people during the season, that is what hurts me most. "It's not my person that is hurt but the impeccable image of the club around the world. "That kind of behaviour does not reflect what Arsenal is."